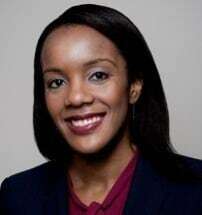 CHERYL-LYN D. BENTLEY is an associate at Outten & Golden LLP in New York. She is a member of the firm’s Class Action Practice Group, representing employees in wage and hour, Fair Credit Reporting Act, criminal history, and discrimination litigation. Before joining the firm in 2015, Ms. Bentley clerked for the Honorable Chief Judge Petrese Tucker of the United States District Court for the Eastern District of Pennsylvania. Prior to clerking, Ms. Bentley served as a fellow and staff attorney at New York Lawyers for the Public Interest, Inc. where she worked on cases involving violations of federal and state disability laws. Ms. Bentley received her B.A. from Harvard University in 2006 and her J.D. from Yale Law School in 2011.